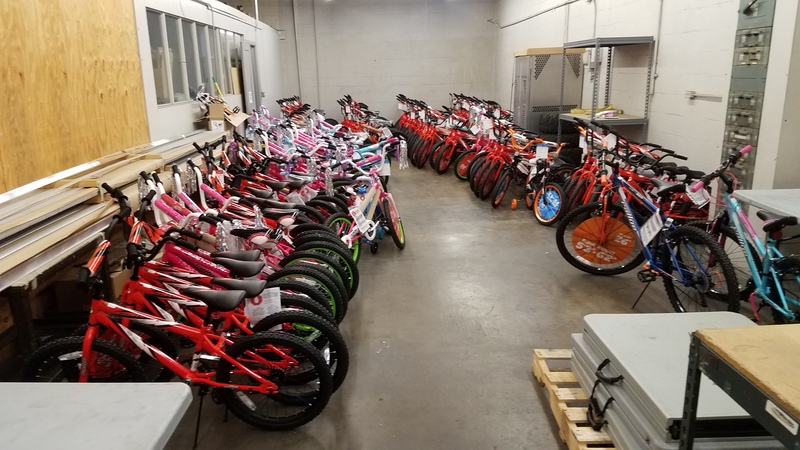 A week ago I lost myself in a sea of bicycles...My boss knows a guy who's been gathering donations every year at Christmas time and purchasing bicycles, assembling, and then donating those bikes to local churches, police charities, etc.. He'd been doing about 50 a year for some time out of his garage. 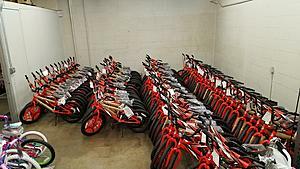 He hooked up with my boss, increased his donor base and then we allowed open floor space at our shop to become a sea of bicycles. Ended up with close to 300 bikes! 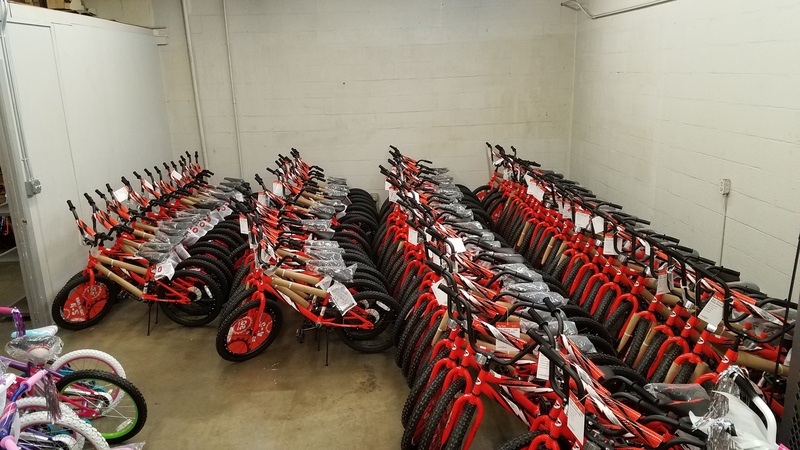 These are brand new bikes purchased in bulk. With help from folks he knows at church (my boss that is) 20 some odd people managed to assemble some 120 bikes on a Monday night. 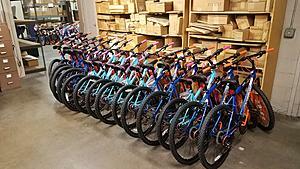 On Tuesday I volunteered to help out and inspect and tweak and get them ready for delivery. It was "interesting" to see what was passed the night before as ready to go LOL! I pounded, loosened, tightened, tweaked over a 100 bikes in a matter of four hours...and during that time? 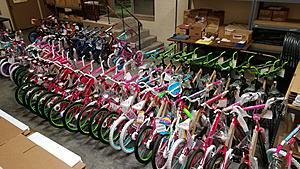 Another 60 plus people showed up to finish assembling the remainder of bikes! It was a sight to see for sure! 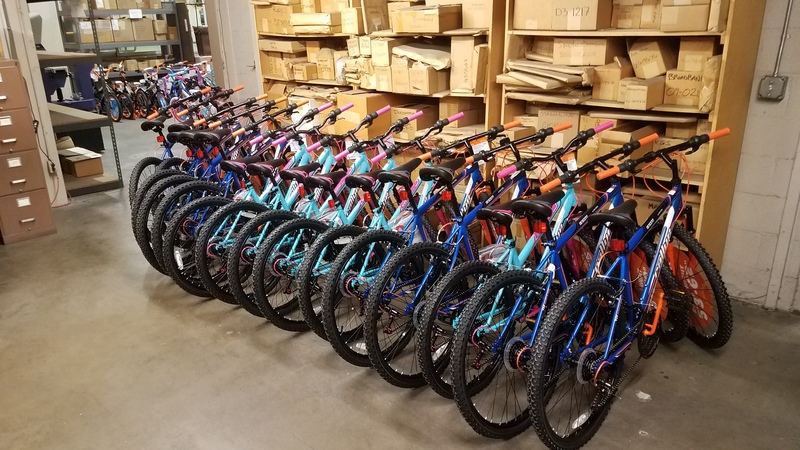 We had one building with assembly and then another for inspection...and man did the bikes start showing up for inspection! I had just cleared the parking lot when all of a sudden they just came flooding in! It was fun and I was beat the next day. Now I know how Santa's Elves feel! Great pics and even better story. Thanks for sharing. I love seeing this kind of awesomeness!! This is the type of story that restores my belief that people are basically good and not at each others throats like the media seems to focus on. 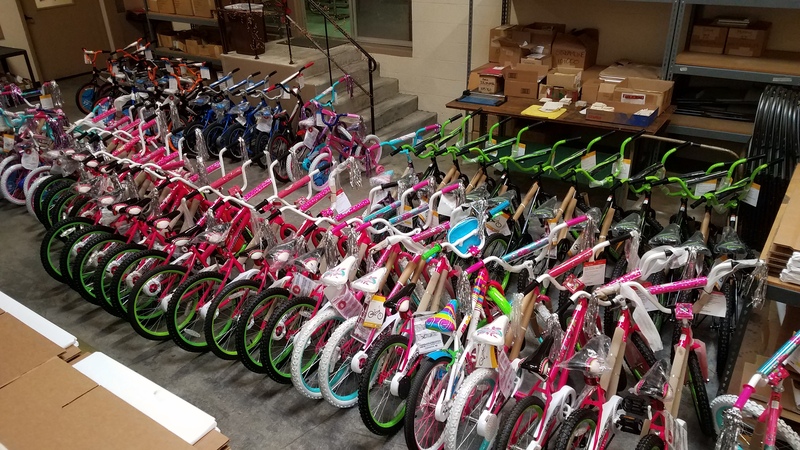 Quick Reply: Bicycle Bonanza! Merry Christmas!